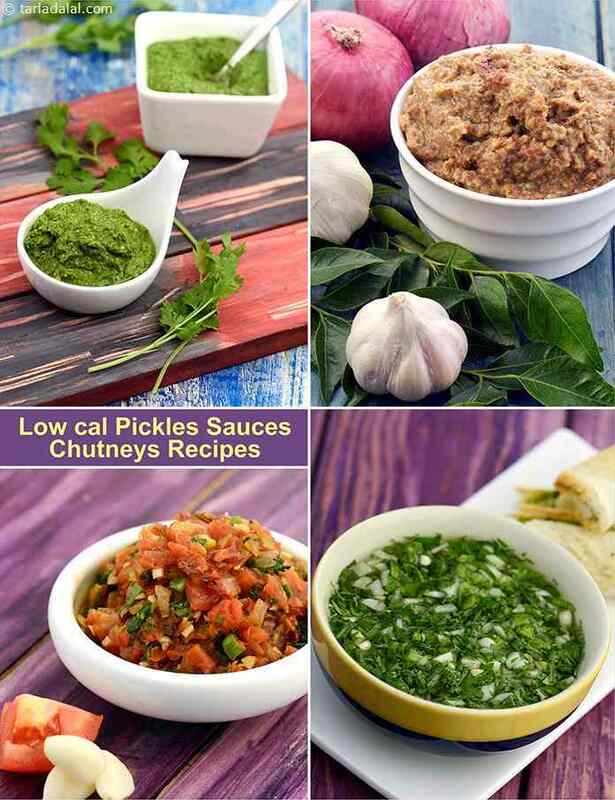 For those who loathe the cream, oil and other fatty ingredients that often go into Pickles, sauces and Chutneys, this section offers a range of low-cal options that are just as delightfully tasty, but without burdening you with the extra calories! Garlic Tomato Chutney : A unique twist has been given to the simple garlic chutney by adding tomatoes and spring onions to it. Tomato gives it the much needed tang, while the coriander and spring onion greens add to the crunch and earthy flavour. The tang of these two feisty friends makes for a zesty accompaniment to any meal, especially a chinese spread. A simple easy to make chutney made with mint and coriander leaves. The uses of this chutney are versatile from spread in sandwiches and wraps to an accompaniment with tikkis. It is easy to make without preservatives.